Hay Cradles - Galvanised heavy grade steel pipe, strong design. 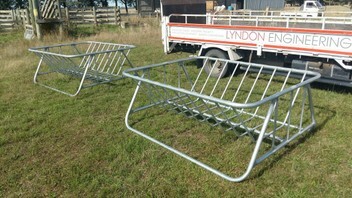 Easy to lift or drag around between paddocks. Freight to farm included on orders within Ashburton, Selwyn or Waimakariri districts. Subject to freight outside these areas.